Perfect for weekend getaways for two, surprise your loved one with one of these Special Touches to make your experience at Rabbit Hill Inn even more memorable. Simply call us in advance to order your Special Touch, and we’ll take care of all the details. The fee will automatically be billed to your room (in addition to your room rate). A dozen red roses in a vase arrangement, a chilled bottle of Taittingers Domaine Carneros Napa Brut champagne and fine chocolates await you upon arrival. A classic “I love you” gift! Please provide at least 4 days’ advance notice. Enhance your escape with a special indulgence — a box of lovely chocolates and a fine dessert wine. Choose from a full bottle of Coste Piani Prosecco for a more effervescent experience; or select a half bottle of Vermont’s own Eden Ice Cider, a sweet, dessert-style wine made from the cold pressing of apples. 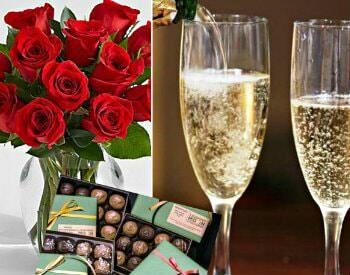 A truly romantic way to celebrate any occasion (a birthday, anniversary, or just being away from it all!). 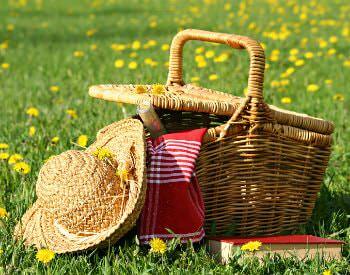 We’ll send you off with a blanket, a list of our favorite romantic picnic spots and a returnable chock-full picnic basket. Inside you will find a demi of chilled fine champagne, bottled water, and a hearty lunch for two including cheese & crackers, sandwiches on homemade focaccia bread, fresh fruit, and for dessert… a homemade sweet. Just imagine how special this afternoon will be. Please order one day in advance. This is a fun way to surprise your special someone for an anniversary, birthday, or to just say “I love you”. 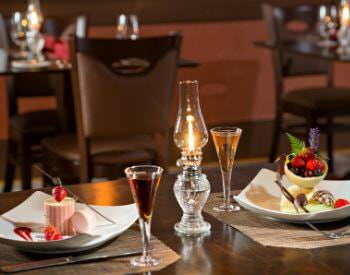 While you dine, we deliver this special party to your room. Have your camera ready to snap a photo of the joy on your loved one’s face as you return to your room to find soft music playing, a colorful balloon bouquet, sparkling wine on ice, mini-cake for two, and a special bunny gift on the bed. Your personal message will appear on the gift card. (Please provide at least 4 days’ advance notice).